The following is an open letter to Renault-Nissan Alliance Chairman & CEO, Renault Chairman & CEO, and Nissan Chairman Carlos Ghosn and to Nissan CEO Hiroto Saikawa. If you would like to add your name to the letter, please do so via this Google Form. In the coming days, we will publish additional articles regarding this request. 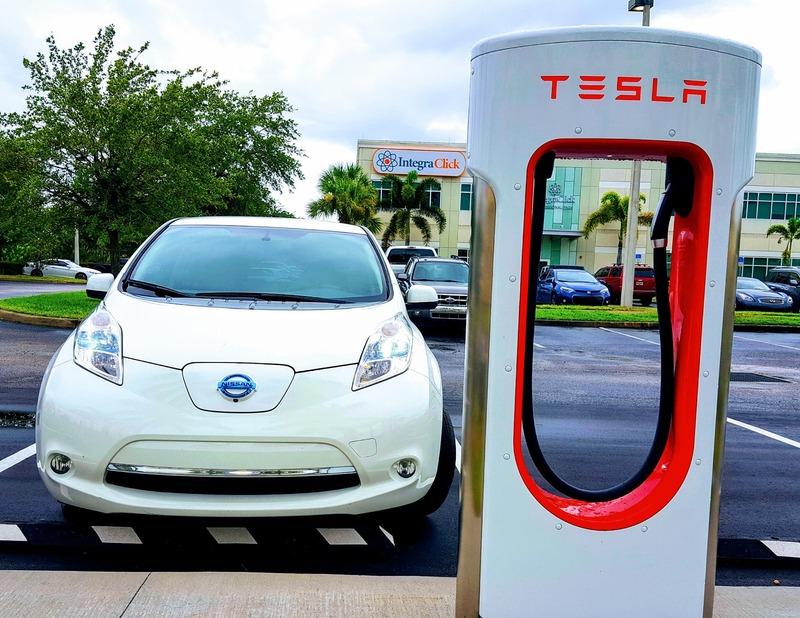 There are several reasons why we think Nissan and Renault should lead in the EV market yet again — this time by being the first to partner with Tesla on Supercharging. We would like to thank you for your leadership in the electric vehicle (EV) market. 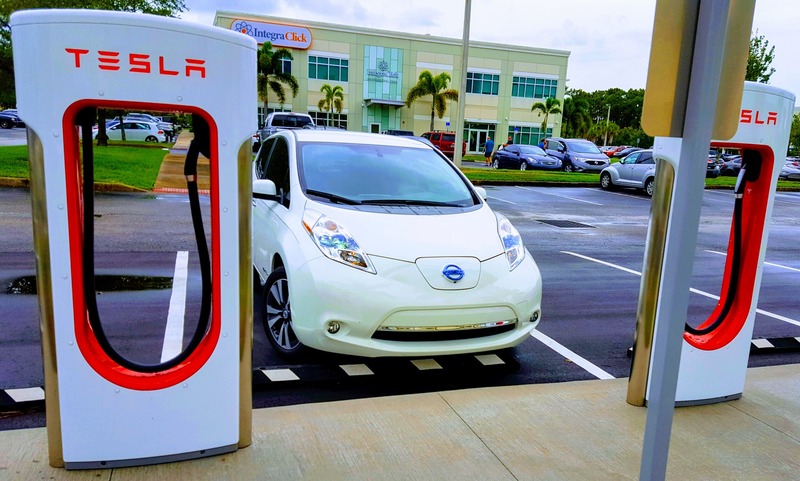 However, we would also like to ask you to take an important next step that would make Nissan’s electric vehicles tremendously more appealing and useful for millions of buyers. This open letter is about the missing link between the current state of EV life and your bold vision for the electric future of the Renault-Nissan Alliance. Shortly before the launch of the ZOE, you (Mr Ghosn) made two comments at a Stanford lecture that very accurately described the backdrop. First, you said that in Europe, 80% of cars drove fewer than 40 kilometers per day and 20% of cars never left the city they were bought in. These two data points make a compelling case for the ZOE as a daily driver for many Europeans. Second, you talked about the emotions cars evoke and, more than that, how our vehicles represent freedom in our lives. A car is our private getaway, a friend with whom we spend hours each day, and a partner for road-trip vacations. But that freedom is diminished with many electric vehicles on the market today, including the ZOE and the LEAF. And this brings us to the reason for this letter. The new LEAF looks to have everything a great EV needs: great battery capacity, a great price, great looks, and even forward-leaning autonomous vehicle technology in the ProPilot suite. But it needs more to really succeed, to be not just a competitor to the Chevy Bolt, but to sell in numbers comparable to the Tesla Model 3 or the Volkswagen Golf. As the top decision-makers at Nissan and Renault, making the LEAF a best-selling, widely desired, truly mass-market car is at your fingertips. Similarly, the ZOE is currently the top-selling electric car in Europe by a wide margin, but we believe its sales could grow substantially from one additional feature. The only necessary ingredient that is lacking for these cars is a charging network that unleashes the potential to conveniently drive across many hundreds or even thousands of miles, not just around town. Whether it’s through the Great Plains states and Rocky Mountains of the United States, motoring from Norway to Spain, driving along the Gold Coast, or making the trek from southeastern China to northeastern China, the freedom and fun of road trips has global appeal. A Dutch colleague uses his car for fewer than 3,000 miles per year, as his commute is not even 6 miles per day. Despite what seems like a lucrative case for an EV, the ZOE was not an option for him because he has family 1,500 miles away that he visits once or twice a year. He has been taking these trips by plane, but he now wants a car that he can make that drive in. It is effectively impossible in a ZOE today. Generally speaking, his is a very common requirement. The siren song of the road tugs on our innate desire to explore and to be free. To unlock this freedom for EV buyers, a robustly deployed high-speed charging network is a necessity. As you know, one company has built such a network — Tesla. As you also know, Tesla is open to accepting partners into the Supercharging network. This letter and those signing it urge you to join Tesla with the Renault-Nissan Z.E. Alliance in order to benefit from and help to further build out the Supercharging network — to open it to all future LEAF and ZOE drivers, as well as drivers of other Renault-Nissan electric vehicles. Doing so will speed the adoption of Renault and Nissan electric vehicles, perhaps exponentially, by putting in place that last puzzle piece to make them highly functional for buyers. We understand that it is difficult for industry giants to concede that a small startup has created a critical component of the EV revolution. We understand that there is a certain humility necessary to initiate a partnership with Tesla on this topic. 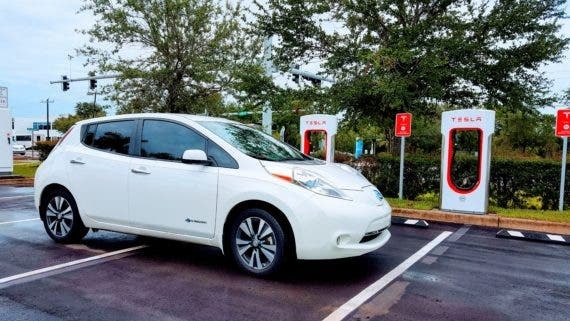 However, other solutions appear to be too slow and too inconveniently dispersed to satisfy many EV buyers in the next 3–5 years, just as the market is exploding onto a steep onramp. We believe this will be one of the auto industry’s most dramatic S-curves, and we would love for Renault and Nissan to remain on the leading edge of that curve. The Renault-Nissan Z.E. Alliance is uniquely positioned to lead, thanks in part to its deep expertise in electric vehicles and battery technology, and also thanks to its ability to quickly scale up EV production and demand in order to guide humanity into a safer, more stable, more livable future. The technology of the coming decades is here now, and now is the time for strong and courageous action. Don’t those photos look good? Thanks to LEAF driver and CleanTechnica writer Cynthia Shahan for those.